Coming after Manchester City FC accepted a £24m bid for Kelechi Iheanacho from premier league side West Ham, the footballer is now the most expensive Nigerian player. Kelechi Iheanacho will be undergoing his medical tomorrow. With the amount West Ham is splashing on him, Kelechi became the most expensive Nigerian player as his fee eclipsed the 20 million pounds Chanchung Yatai paid for Odion Ighalo, for his transfer from Watford. 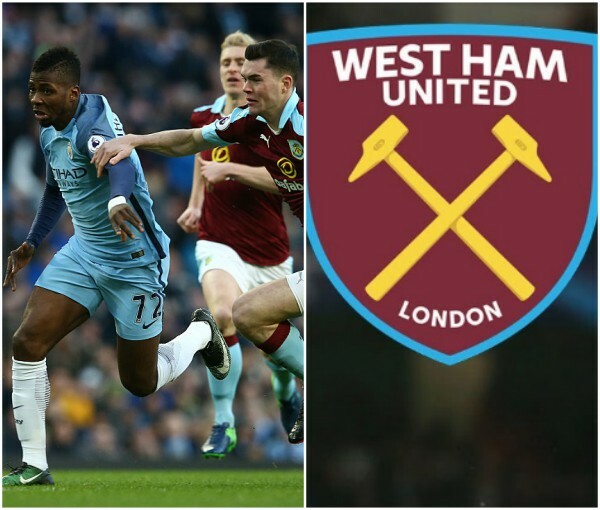 Iheanacho will team up with West Ham on a permanent deal, with Manchester City having the option of buying him back after two years ‎according to reports gathered by Owngoalnigeria. The 20 year old lost his spot at Manchester City following the arrival of Gabriel Jesus, who pushed him further down the pecking order leading to the forward missing out on some of the matchday squad of manager Pep Guardiola. His move will be officially announced tomorrow after a medical which will take place in France, where he is on duty with the Super Eagles of Nigeria for the games against Corsica and Togo.